Fish oil contains omega-3 fatty-acids that help us to maintain proper immune and inflammatory responses to the demands of daily life. 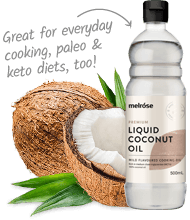 Hold on…what are the ‘essential fats’? The essential fats are two, relatively common fats found in the diet. The essential ‘omega-6’ fat is linoleic acid, found in abundance in the modern diet from vegetable oils (e.g. sunflower and safflower) and the ‘omega-3’ fat is alpha-linolenic acid, found in certain plant foods, most especially in flaxseeds, pumpkin seeds, hemp seeds, and chia. These ‘base’ fats are converted into various ‘metabolites’ that help the body to modulate inflammation and immunity. Inflammation is a critical process in the body that helps us to heal and repair, and signal appropriate immune responses (or dampen them down when needed). BUT excessive inflammation is linked to illnesses including autoimmune conditions, diabetes and insulin resistance, heart disease, cancer and neurological (brain) disorders. That’s why it has been suggested that the balance of omega-3 to omega-6 fats should be around 1 to less than 7. Suffice to say, our modern, western-style diet has a disproportionately high amount of omega-6 fats that can encourage inflammation. Supplementing with fish oil helps to redress the imbalance and provides the directly usable fatty-acids that help to modulate inflammation, even if you are a poor converter. Summary: How do I increase omega-3 and reduce omega-6 fats? Most common vegetable oils (like soy, safflower, sunflower etc.) have high levels of omega-6 fats and very low levels of omega-3s. Most of these are also very heat-sensitive (breaking down and oxidising under heat) and so, it’s better to use heat-stable oils like coconut oil and ghee for cooking and use omega-3 and 9 containing oils like flax oil, hempseed oil, macadamia oil, and extra virgin olive oil for dressings, or use MCT oil as the base for dressings for an added brain and body boost! Factory-farmed meats and eggs have higher levels of omega-6 and lower levels of omega-3 than their free-range counterparts because they are fed high omega-6 grain-feed. Not to mention that free-range animals have healthier, happier lives! As mentioned above, you should cook with heat-stable oils. The added bonus is that these don’t further distort your omega-6 to 3 balance. Fish oil contains the metabolites of omega-3 in a directly usable form. So, by taking fish oil you can experience the health benefits without worrying about whether your body can convert the base omega-3 to its usable compounds. Fish oil supplementation is likely to be generally cardioprotective9 and has several positive effects on health markers. Fish oil supplementation reduces triglycerides in a dose-dependent manner.10, 11 Triglycerides are one of the best indicators of cardiovascular and metabolic health and you want these to be lower. Note: These cardiometabolic benefits are not observed to the same degree from increased consumption of alpha-linolenic acid,17 the ‘base’ omega-3 fat found in plant-derived sources such as flaxseed oil. 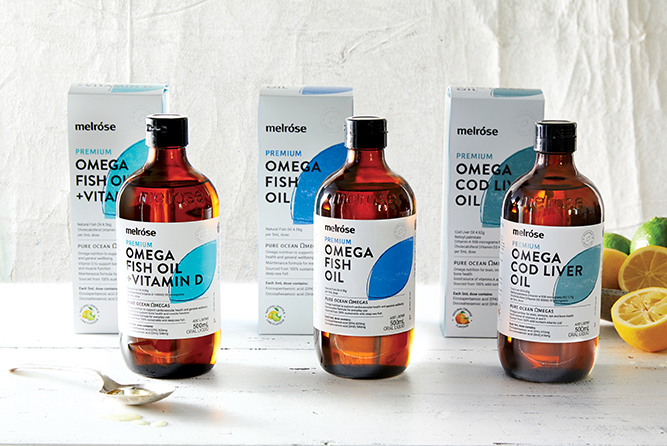 So, suffice to say, it’s important to source your fish oil for a trusted company, with a trusted supply, and a rigorous testing regimen. 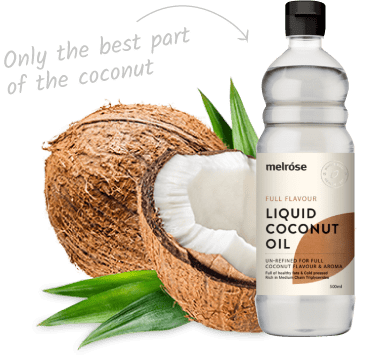 Melrose fish oil is a high-potency fish oil with approx. 64% total EPA and DHA. It is also tested for heavy metals, peroxide, dioxins and other contaminants. Fish oil can be taken with or without food. Many people prefer to take it with food (or in shakes or smoothies) as it can be easier on the stomach and the additional fat helps the absorption of fat-soluble vitamins and carotenoids. For best utilisation rates though, it’s probably best to avoid taking it with substantial amounts of omega-6 fats. It’s also OK to take a high-quality fish oil (like Melrose) on an empty stomach in the morning. A fantastic way to take it is to have fish oil both in the morning and night (simply divide your optimal dose below by two). Note: the American Heart Association recommended dose is equivalent to around 1500 mg of Melrose Fish Oil. omega-3s in the modern diet and the evidence for health benefits. 1. Mantzioris E, James MJ, Gibson RA, Cleland LG. Dietary substitution with an alpha-linolenic acid-rich vegetable oil increases eicosapentaenoic acid concentrations in tissues. The American Journal of Clinical Nutrition. 1994;59(6):1304-9. 2. Davis BC, Kris-Etherton PM. Achieving optimal essential fatty acid status in vegetarians: current knowledge and practical implications. The American Journal of Clinical Nutrition. 2003;78(3):640S-6S. 3. Burdge GC, Calder PC. Conversion of $\alpha$-linolenic acid to longer-chain polyunsaturated fatty acids in human adults. Reprod Nutr Dev. 2005;45(5):581-97. 4. Brenna JT, Salem Jr N, Sinclair AJ, Cunnane SC. α-Linolenic acid supplementation and conversion to n-3 long-chain polyunsaturated fatty acids in humans. Prostaglandins, Leukotrienes and Essential Fatty Acids. 2009;80(2–3):85-91. 5. Arterburn LM, Hall EB, Oken H. Distribution, interconversion, and dose response of n−3 fatty acids in humans. The American Journal of Clinical Nutrition. 2006;83(6):S1467-76S. 6. Burdge G. α-Linolenic acid metabolism in men and women: nutritional and biological implications. Current Opinion in Clinical Nutrition & Metabolic Care. 2004;7(2):137-44. 7. Harnack K, Andersen G, Somoza V. Quantitation of alpha-linolenic acid elongation to eicosapentaenoic and docosahexaenoic acid as affected by the ratio of n6/n3 fatty acids. Nutrition & Metabolism. 2009;6(1):8. 8. Goyens PL, Spilker ME, Zock PL, Katan MB, Mensink RP. Conversion of α-linolenic acid in humans is influenced by the absolute amounts of α-linolenic acid and linoleic acid in the diet and not by their ratio. The American Journal of Clinical Nutrition. 2006;84(1):44-53. 9. Delgado-Lista J, Perez-Martinez P, Lopez-Miranda J, Perez-Jimenez F. Long chain omega-3 fatty acids and cardiovascular disease: a systematic review. British Journal of Nutrition. 2012;107(SupplementS2):S201-S13. 10. Montori VM, Farmer A, Wollan PC, Dinneen SF. Fish oil supplementation in type 2 diabetes: a quantitative systematic review. Diabetes Care. 2000;23(9):1407-15. 11. Eslick GD, Howe PRC, Smith C, Priest R, Bensoussan A. Benefits of fish oil supplementation in hyperlipidemia: a systematic review and meta-analysis. International Journal of Cardiology. 2009;136(1):4-16. 12. Balk EM, Lichtenstein AH, Chung M, Kupelnick B, Chew P, Lau J. Effects of omega-3 fatty acids on serum markers of cardiovascular disease risk: A systematic review. Atherosclerosis. 2006;189(1):19-30. 13. Campbell F, Dickinson HO, Critchley JA, Ford GA, Bradburn M. A systematic review of fish-oil supplements for the prevention and treatment of hypertension. European Journal of Preventive Cardiology. 2013;20(1):107-20. 14. Wang C, Harris WS, Chung M, Lichtenstein AH, Balk EM, Kupelnick B, et al. n−3 Fatty acids from fish or fish-oil supplements, but not α-linolenic acid, benefit cardiovascular disease outcomes in primary- and secondary-prevention studies: a systematic review. The American Journal of Clinical Nutrition. 2006;84(1):5-17. 15. León H, Shibata MC, Sivakumaran S, Dorgan M, Chatterley T, Tsuyuki RT. Effect of fish oil on arrhythmias and mortality: systematic review. BMJ. 2008;337. 16. Rizos EC, Ntzani EE, Bika E, Kostapanos MS, Elisaf MS. Association between omega-3 fatty acid supplementation and risk of major cardiovascular disease events: A systematic review and meta-analysis. JAMA. 2012;308(10):1024-33. 17. Wendland E, Farmer A, Glasziou P, Neil A. Effect of α linolenic acid on cardiovascular risk markers: a systematic review. Heart. 2006;92(2):166-9. 18. Appleton KM, Rogers PJ, Ness AR. Updated systematic review and meta-analysis of the effects of n−3 long-chain polyunsaturated fatty acids on depressed mood. The American Journal of Clinical Nutrition. 2010. 19. Appleton KM, Hayward RC, Gunnell D, Peters TJ, Rogers PJ, Kessler D, et al. Effects of n–3 long-chain polyunsaturated fatty acids on depressed mood: systematic review of published trials. The American Journal of Clinical Nutrition. 2006;84(6):1308-16. 20. Miles EA, Calder PC. Influence of marine n-3 polyunsaturated fatty acids on immune function and a systematic review of their effects on clinical outcomes in rheumatoid arthritis. British Journal of Nutrition. 2012;107(SupplementS2):S171-S84. 21. Albert BB, Derraik JGB, Cameron-Smith D, Hofman PL, Tumanov S, Villas-Boas SG, et al. Fish oil supplements in New Zealand are highly oxidised and do not meet label content of n-3 PUFA. Scientific Reports. 2015;5:7928.